a) by artists and theorists / groups / networks / organisations / artist-run spaces / associations / network platforms. b) of selected national and international projects with communicative structures in the field of art actions, performance art, performing arts, as well as performative and urban interventions. letters / e-mails / texts / interviews / statements and manifests / catalogues / brochures / books / compendia / treatises / press and media products / magazines / art magazines / artist writings / flyers / poster / relics from performances etc. Photographic prints in b/w, colour / b/w negatives / colour negatives / slide photography / digital photography stored on CDs and external hard drives. Furthermore, part of the collection are publications and essays. These range from art history and social political topics, philosophical and scientific treatises, to spiritual theory and practice. However, the BLACK KIT’s biggest asset is most certainly that very network systematically built up by the organizers over the past decades throughout the world connecting all continents. This is another focus of BLACK KIT: indexed information on diverse organisations and networks primarily based on performance art. containing more than 3500 boxes, portfolios, folders and holders with documents and performance art relics. 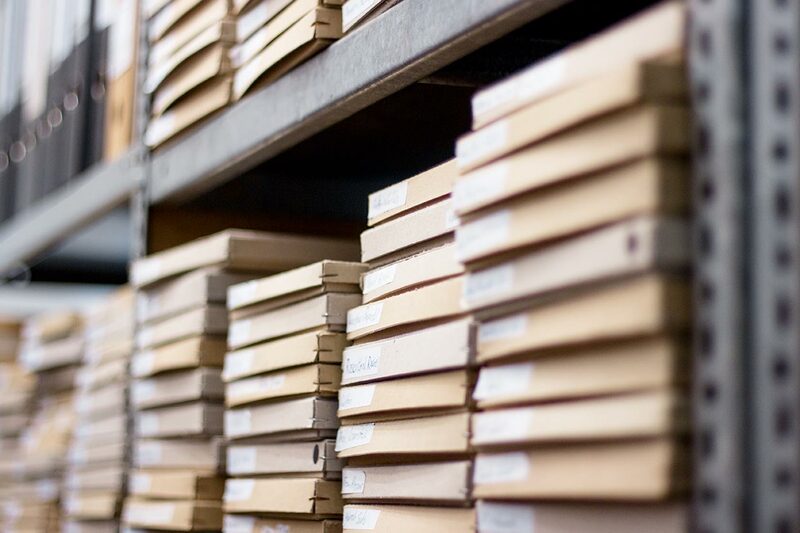 The archive stock is stored on 73 shelves with over 300 metres total length, as well as in 28 large crates filled with relics. The visual documentation department consists of, slides, negatives, vintages and hundreds of hours on film, some of which are of considerable historical value. The archive’s contents are currently being indexed and catalogued in preparation to create a digital data base. Please contact us, and we will send you the adress list of the active organizations worldwide.